Come join us for Game Night. 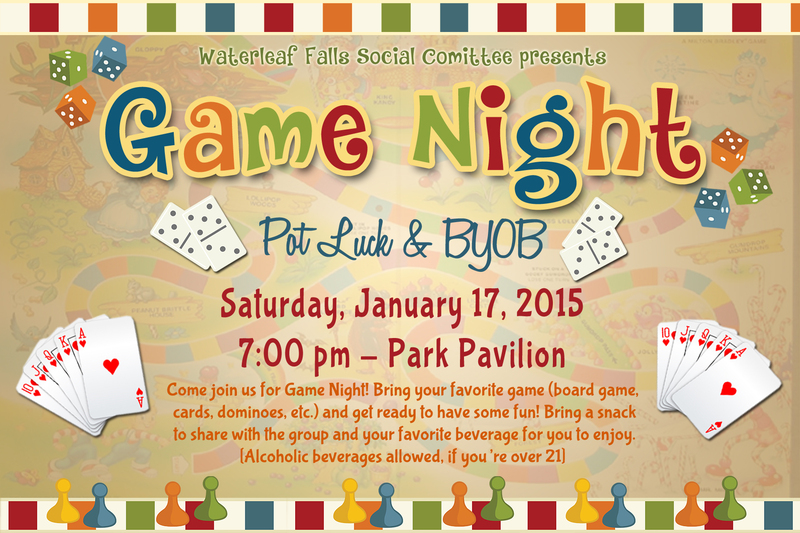 Bring your favorite game (board game, cards, dominos, etc.) and get ready to have some fun! Also, bring a munchie to share with the group and your favorite beverage for you to enjoy. Alcohol beverage allowed, if you’re 21 years or older. Don’t worry if it’s cold, we will have heaters. So, come see if Lady Luck shines down on you!